The Northern Sporades are an archipelago along the each cost of Greece consisting of 24 islands of which only four are permanently inhabited. Explore this hard-to-reach region and in particular the island of Pelagos which lies within the National Marine Park of Alonissos. Chartering a yacht provides the perfect base to uncover everything from the protected flora and fauna, to the Byzantinian monasteries now burrowed into the landscape. Yacht of choice: Balaju is primed for an ideal family holiday. Her experienced crew will navigate this scattered collection of remote and fertile islands. Enjoy onboard mod-cons such as Jacuzzi, wet bar and BBQ as well as a host of toys such as water ski's, wakeboards, trampoline with slide, scuba gear and a 2007 Yamaha waverunner. 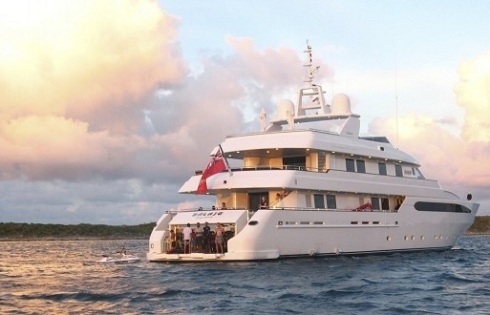 Charter available from €135,000 per week.